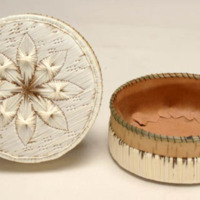 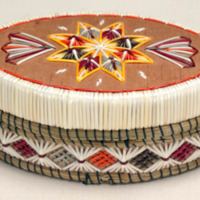 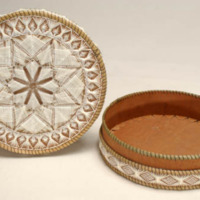 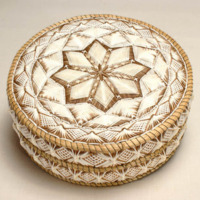 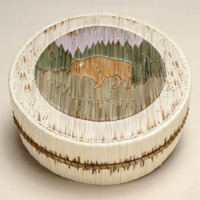 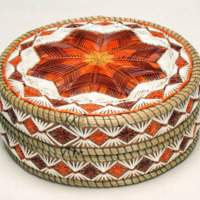 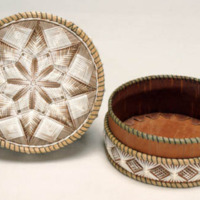 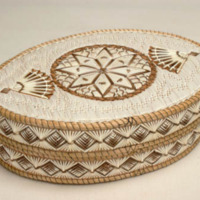 Birch bark boxes were traditionally used by the Ojibwe for both ceremonial and everyday purposes, like processing wild rice and collecting maple sap. 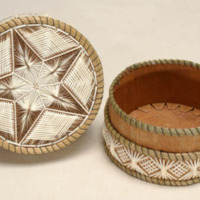 These boxes, however, were also created as tourist trade items, to be sold to people outside the Ojibwe community. 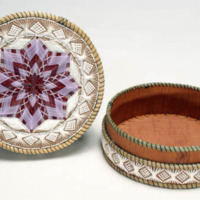 As elsewhere in the world, the transition from objects used by community members to objects designed for outsiders preserved some features of Ojibwe birch bark art while promoting change in others. 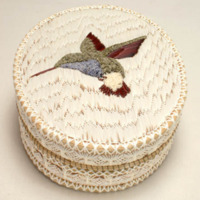 An increased focus on recognizable animal imagery is one such change.